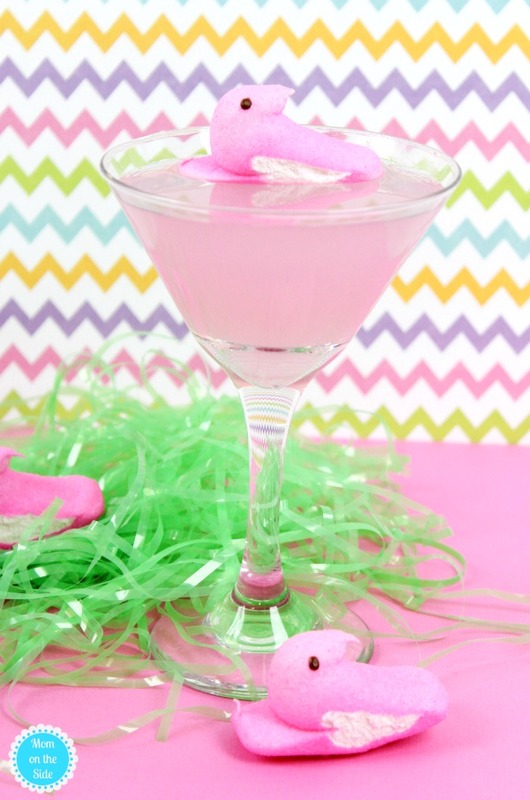 If you are a fan of Peeps and vodka you’re going to love this Pink Lemonade Peeps Vodka. With all kinds of flavors of Peeps now, even Mystery Peeps, you can make all sorts of flavors of Peeps infused Vodka. This time around we are going pink which makes this great for spring and Easter! When Easter hits, Peeps recipes are all the rage. 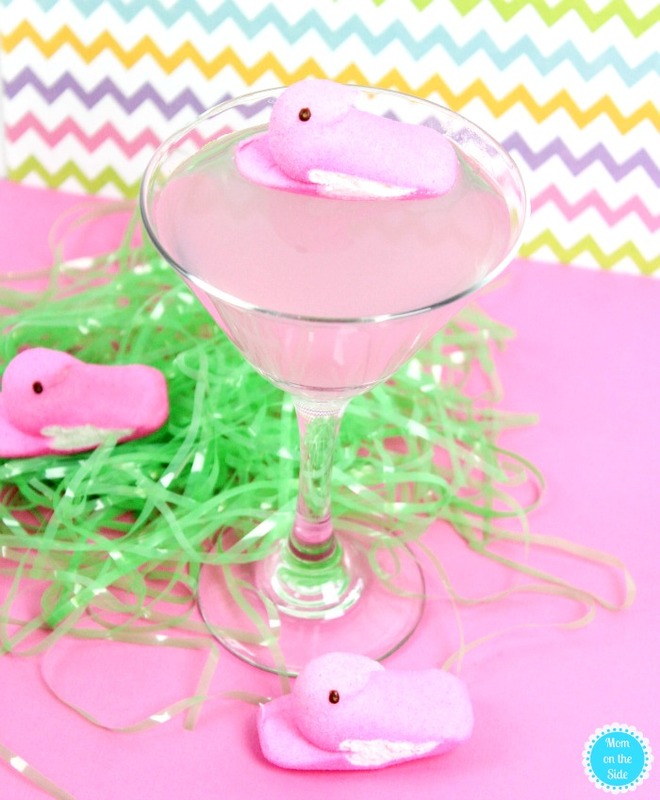 Instead of dessert or pudding cups, we’re turning Peeps into a vodka cocktail! All you need for a glass of Lemonade Peeps Vodka are 1 cup of pink lemonade, 1/2 cup of Vodka (whatever brand you like) and pink Peeps. I think next time I’m going to try Blueberry Peeps with 7UP and Vodka – doesn’t that sound delicious?! First, place Peeps in a jar and pour vodka over them. Let them sit overnight or for a few hours to help them infuse each other’s flavors. When you’re ready for cocktails, pour one cup of lemonade into a glass followed by 2 ounces of vodka into the lemonade, stir and enjoy! Peeps infused Vodka will keep in the fridge for up to 3 days if you want to make this ahead of time. 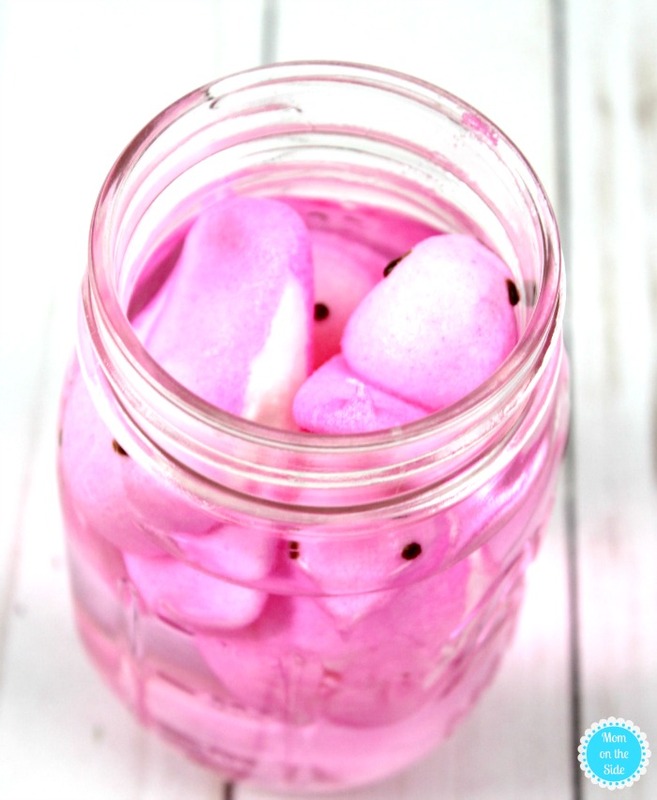 If you are serving them at a party, you could do several jars of different flavors and set up a Peeps Buffet! Place Peeps and Vodka in a glass and let them soak for at least a few hours, or overnight if you can. If you are making more than one glass use a bigger container or bowl and add however many Peeps you need for each 1/2 cup of vodka. When you are ready to mix the cocktails pour 1 cup of pink lemonade into a glass followed by the vodka infused with Peeps. For garnish you can use fresh Peeps or the vodka infused Peeps. OML I need this in my life! I love the pink punk martini at TGIFriday’s and this makes me think of that. If only I didn’t give up junk food for lent! 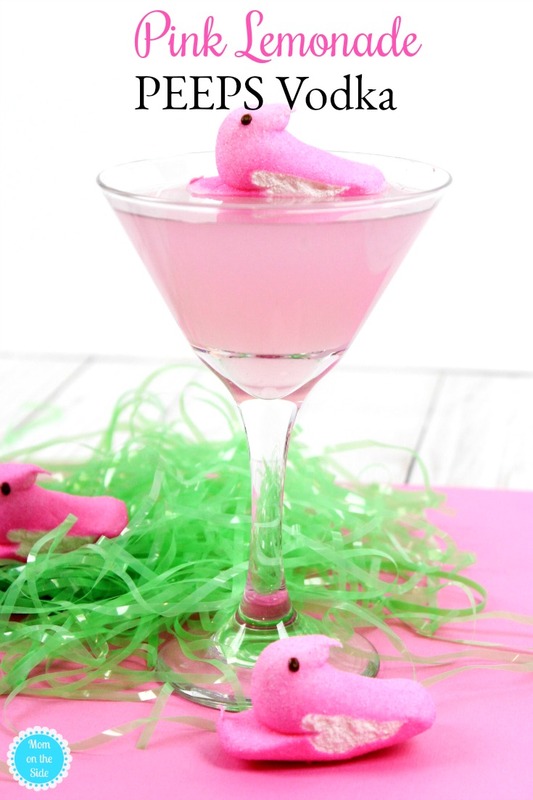 Do you garnish with the vodka infused peep or a fresh one? You can do either or and we’ve done both but I prefer using a fresh one because it’s less messy if you want to eat it lol! indicate one cup per drink. ? Hi Mary! The post was confusing so I’ve updated it and added recipes steps at the bottom. You’ll want to use one cup of lemonade, 1/2 cup of vodka, 1-2 peeps per glass. If you prefer less vodka you can do that so that it has more lemonade flavor. I hope that helps!